Flash image slideshow is the great way to present your beautiful photos on your website or blog. With no doubt, creating a flash slideshow is the important thing now. Before that, you need a good and easy-to-use slideshow program. Kvisoft Flash Slideshow Designer is the wise slideshow tool to design various stunning photo slides with music for sharing online. Then I will introduce you the steps on making photo slideshows with ease. 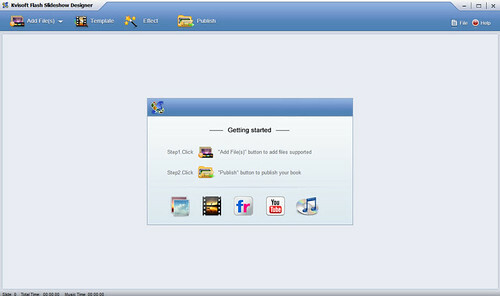 Firstly, download and install Kvisoft Photo Slide Show Maker. 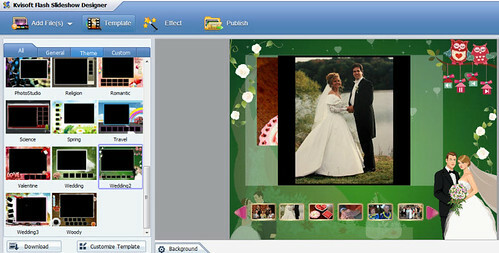 You should download the slideshow builder from kvisoft.com. Then install it step by step as the instructions. Launch it, and you will get the interface of this slide show maker. Secondly, add pictures/videos to the flash slideshow. Just click Add File(s) to start building your web slideshow. Certainly, this program allows you to add videos or photos online. Following is the basic 4 steps of completing a slideshow. Thirdly, choose your flash template. 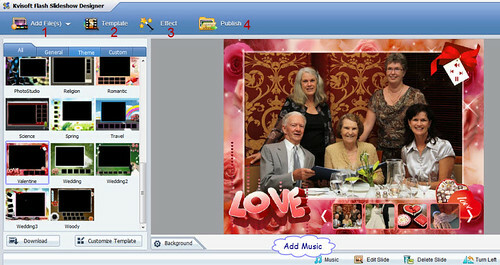 There are some built-in image slideshow templates for you, such as wedding, love, valentine, Christmas and so on. Just choose your favorite one. If not, you can also personalize your own animated slideshow template by the Customize Template function. Besides, you could add music to enrich the flash slides. 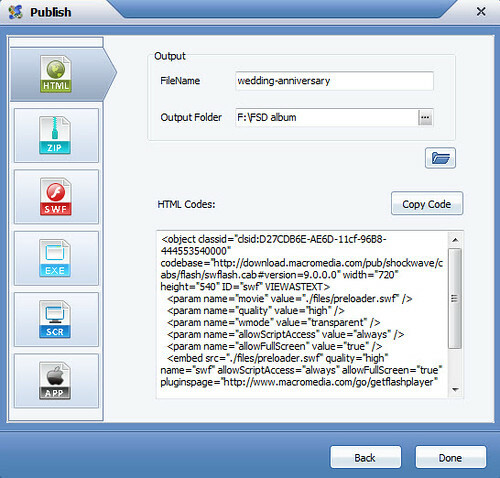 If you dissatisfy the pictures, the tool allows you to edit it in some basic editing functions. Fourthly, apply effects to your photo slideshow. 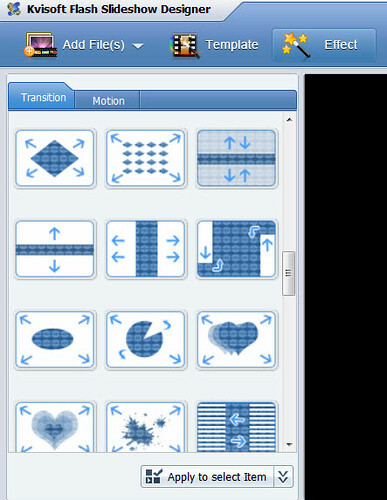 The digital slideshow creator provides a lot of animated effects for you to choose. You can create special flash slides by adding different effects. Just double click to preview every effect. At the last, publish and preview for sharing. If all the above are OK, you can publish it as HTML. Then you just copy the code and change the link address to insert your slideshows for your web or blog.